The 2018 Subaru Outback at Subaru of Las Vegas has several reasons for being lauded by an assortment of automotive magazines and the automotive media more broadly. Subaru of Las Vegas general manager Burton Hughes is seen with a 2018 Outback at the dealership at 6455 Roy Horn Way. Among the plaudits are Parents magazine and Edmunds.com, which recently awarded the 2018 Subaru Outback, which has been named Best Family Car among the top 10 family cars and the best SUV-like wagon. 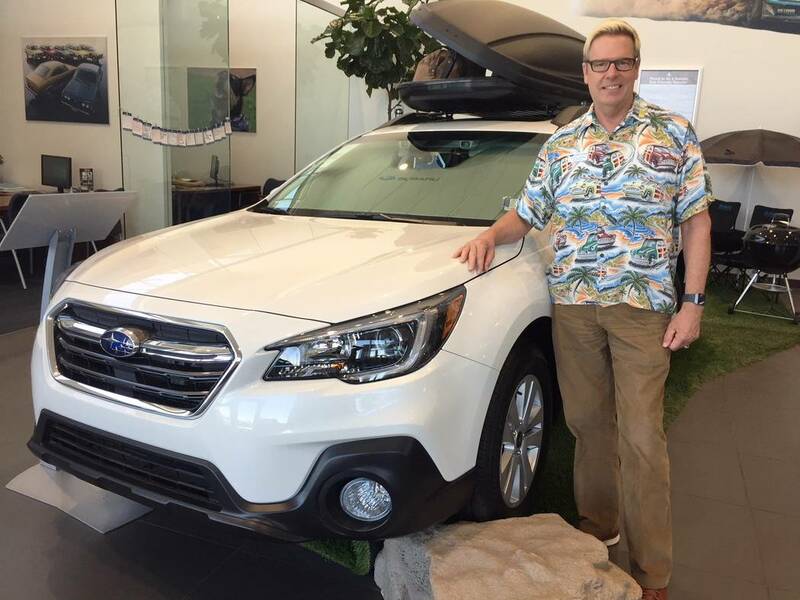 Subaru of Las Vegas General Manager Burton Hughes’ daughter, Emma, was involved in a serious car accident while driving her 2010 Outback in Fairfield, California, a few years ago. “She was in the second lane of the I-80 when a truck moved into her lane,” Hughes said. “The impact sent her car under the trailer of an 18-wheel big rig, which caused the truck to jack-knife before both vehicles rolled multiple times. Emma is doing fine now with no residual effects from the accident, and even Leon, a Pomeranian-Chihuahua mix, is back to riding shotgun with her in the replacement vehicle — yes, another Subaru Outback. “The accident proved to be the ultimate test for the Outback, which protected its occupants in what is unquestionably an extreme situation,” Hughes said. In widely recognized safety tests, the Subaru Outback earned top marks with the government’s 5-Star overall vehicle score from the National Highway Traffic Safety Administration. The Outback was also lauded as an Insurance Institute for Highway Safety Top Safety Pick for 10 years running from 2009 to 2018, and an IIHS Top Safety Pick + for six years running (2013 to 2018). Subaru of Las Vegas, a Findlay Automotive Group dealership, relocated to a brand new facility at 6455 Roy Horn Way in October 2017. The dealership is near the 215 Beltway and Rainbow Boulevard in the southwest valley. Further information can be found by calling 702-495-2100 or by visiting www.subaruoflasvegas.com.